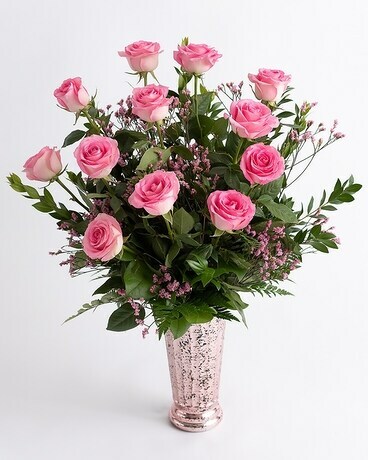 Spring into Love with this magnificent arrangement of pink roses, and pink filler flower. Designed in a champagne colored vase. Cheers!